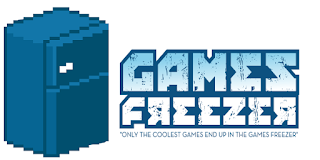 Games Freezer have been invited to the May 12th launch of a new Primark retro games inspired clothing range at the flagship Primark Store in Manchester City Centre. We've taken a look at the range and it looks awesome! From Super Mario to PAC-MAN to Duck Hunt to Sonic, the entire range covers many of the old-school console crew! To launch the new clothing line Primark is holding a Primark Arcade event in the Manchester store this weekend where you can check out Primark's very own retro arcade showcasing the best of games including PAC-MAN, Space Invaders and Donkey Kong. Jon Stoodley, the PAC-MAN world record holder, will be on hand to offer top-tips on how to play the 'perfect PAC-MAN game'. Other special guests include retro gaming content creators Nostalgia Nerd, Kim Justice, Slopes and Octav1us Kitten. Come and join the fun on Saturday May 12th from 1pm to 3pm. But hurry the Primark Arcade is only there till Sunday! The Primark Retro Arcade has been created in conjunction with specialist retro games company Replay Events with arcade cabinets supplied by Retro Games Party.